~ for White Rose Publishing. Check out this cover for Journey’s Edge. It’s stunning, isn’t it? Thanks to Nicola Martinez for the design and to my editors, Jamie and Barbara, for helping Journey’s Edge shine on the inside. I am so proud to be associated with White Rose Publishing! 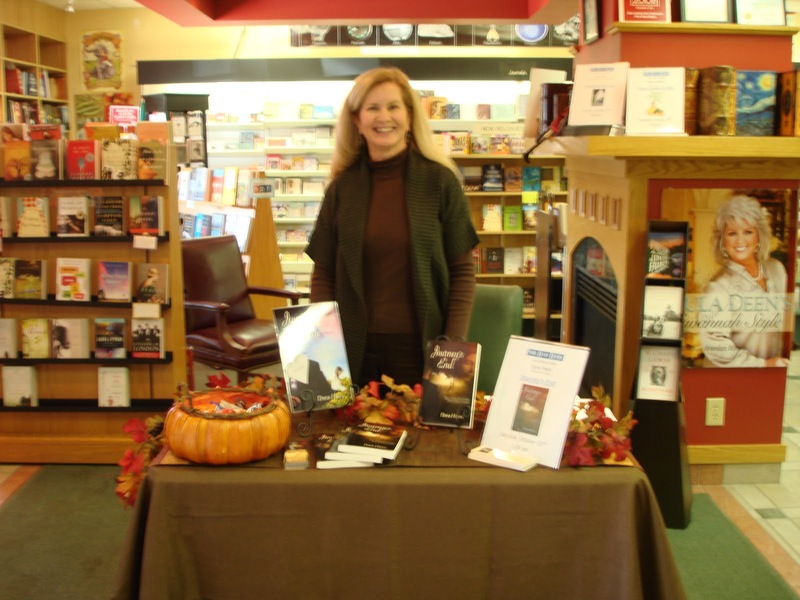 ~ for Park Road Books, who allowed me to hang out in their living room for my first booksigning. 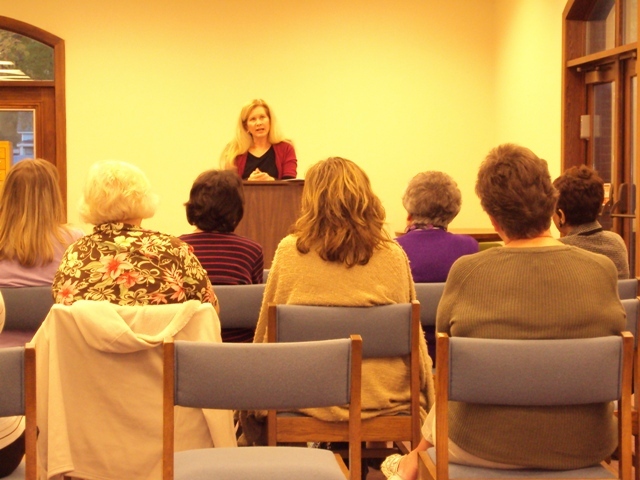 ~ for the Kannapolis Library and Friends, who invited me to speak and made me feel so at home. I appreciate all you do to make the Kannapolis Library a cool place to hang out and to encourage reading! Those are my thanks givings this week. Yeah! It's beautiful – what's the release date? That book looks so intriguing! Very eye-catching. Thank you, Clare & Susan. I haven't received a release date yet. I just emailed the 2nd round of edits back yesterday. Yay!! I'm so excited! Hey Laura. Isn't it? Nicola very cleverly incorporated so many aspects of the story into the cover. Amazing! OH Wow! Love it! Sure makes ya want to dive into the story! Hey Sherry. Thanks! Caught your interest, eh? Love the cover!! It's looks so peaceful and benign until you see the knife behind his back. Scary and intriguing! Hi Sandy. You're so right. It pulls you in, doesn't it? I LOVE it! Congrats, Sheri, on doing so well in the Campaign Challenge! Enjoy! Thanks for stopping by.